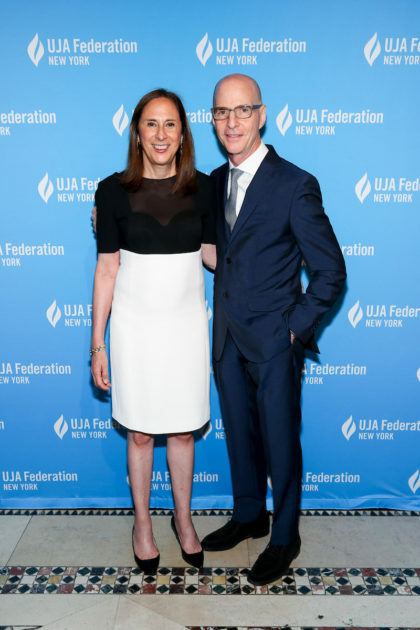 David Greenbaum ’73 and his wife, Laureine, of New York City, have pledged $2.5 million toward the construction of a new 6,500-square-foot building on the University of Rochester’s River Campus to be named the Greenbaum Center for Jewish Life. An additional $3.5 million will be sought from additional donors to make the project a reality. President Richard Feldman says the initiative is part of the University’s larger efforts to make sure that students have excellent resources, facilities, and programs that support their religious, cultural, and social interests. “Rochester’s approach to residential education takes seriously the idea that students learn where they live and live where they learn,” Feldman says. “Having an on-campus facility for Hillel and for other activities related to Jewish life is part of that aspiration, helping to provide students with opportunities to find both commonality and opportunities to learn from classmates with other perspectives and experiences. Hillel at the University of Rochester is dedicated to fostering student growth, Jewish learning, and relationship building. For the Jewish community at Rochester, which includes undergraduate and graduate students (including students at the Eastman School of Music), faculty, and staff, Hillel offers weekly Shabbat opportunities, meals, social and cultural programming, alternative break programs, holiday services and celebrations, and two Birthright Israel trips each year. The planned location for the new Center for Jewish Life is on Wilson Boulevard near the corner of Fraternity Road. A similar building for the Catholic Newman Community is in the early planning stages and would be located nearby. David earned a bachelor’s degree in political science at Rochester, a law degree from the University of Chicago, and is now president of the New York Office of the publicly traded Vornado Realty Trust. Laureine earned her undergraduate degree from the University of Pennsylvania and a law degree from New York University. The Greenbaums have two grown daughters and three grandchildren. Read more on the important role of faith communities at the University of Rochester.